Sony has propelled itself to the front of the professional camera world with its new mirrorless body. But photographers still have a lot of questions when it comes to the question of mirrorless vs. DSLR, such as Sony a7R III vs. the Nikon D850. Mirrorless bodies have advanced by leaps and bounds since the first one was released in 2008. However, they still have a way to go in some areas. 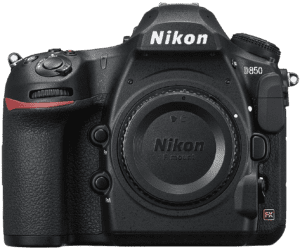 Nikon’s D850 is the clear winner in terms of battery life, video and lens selection. But Sony’s a7R III beats the DSLR in terms of continuous shooting, live view autofocus and weight. We’ll explore some of these capabilities and features to help you determine which is better suited for your needs in this article. Panasonic released the first mirrorless camera in the world in 2008 – the Lumix G1. 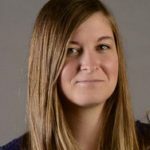 The answer to the question of buying DSLR or mirrorless used to be easy – DSLR. However, mirrorless technology has advanced to the point where that is no longer the case. DSLRs are the digital version of SLR film cameras. They use a mirror to reflect light entering through the lens into the viewfinder and onto the digital imaging sensor. Mirrorless cameras, which are also known as compact system cameras, use interchangeable lenses but work without an internal mirror structure. This makes them much smaller and lighter. It also allows you to turn off the shutter sound. That is a great feature if you shoot in situations where the sound can be distracting or disruptive. There are several drawbacks to mirrorless. One is the less extensive selection of lenses compared to DSLR cameras and the lack of an optical viewfinder. That means the models rely on electronic viewfinders or the rear screen. This can come in handy if, like with the Sony a7R III, the camera is equipped with a hybrid autofocus system and an electronic viewfinder. That will show you what your photo will look like as you are composing it. It can display additional information through the viewfinder. Mirrorless cameras do have a long way to go when it comes to battery life, though. The Sony a7R III has a clear advantage when it comes to size. It measures 127 mm x 96 mm x 74 mm and weighs just 657 grams. That makes it 32% smaller in size than the Nikon D850. That measures 146 x 124 x 79, and 35% lighter than the 1015 gram Nikon. This is a clear advantage for travel photographers and other daily photographers who need cameras that travel simply and are easy to carry. Both cameras are also weather-sealed and pretty durable. That makes them great in all types of weather and for photographers in all types of fields despite the other differences between the two. One area where the Sony is currently at a disadvantage is the number of available a7 compatible lenses, however. Mirrorless cameras just don’t have the range of selection that DSLRs do when it comes to lenses – yet. Nikon has a massive range of D850 compatible lenses at different price points for every job you can think of. Sony is very limited in comparison, but is growing quickly to bridge the gap. Within the next several years, Sony will likely equal Nikon and Canon in E-mount lens selection. They recently released their impressive 400mm f/2.8 telephoto prime lens. 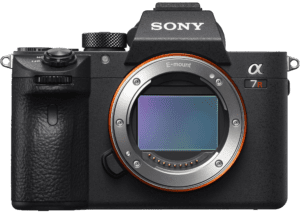 They have some high-end optics designed exclusively for their full-frame cameras like the a7R III. One area where the Sony a7R III really excels is continuous shooting. When it comes down to technology, DSLRs (budget or premium models, alike) just can’t keep up with the speeds that mirrorless bodies can achieve. The Sony can shoot at 10 fps, while the D850 can only do 7 fps. While 7 frames per second certainly isn’t something to scoff at, it is lower than what the Sony mirrorless can do by a third. While action, sports and wildlife photographers probably won’t feel like the Nikon is slow, they will definitely appreciate the 3 added frames per second the Sony can achieve. You can see this trend in the technology even more with more advanced camera bodies, like Canon’s highest-level professional DSLR, the EOS-1D X Mark II, which can shoot 14 fps, and Sony’s mirrorless Alpha A9, which can shoot a stunning 20 fps. The Nikon has a higher max sensor resolution than the Sony, at 46 MP vs. 42 MP, but the Sony has a higher max ISO at 32,000 vs. 25,600. The Nikon D850 still beats the mirrorless Sony on the low end of ISO however, at a low of 64 vs. 100. Both cameras have tilting LCD screens, but the Nikon’s LCD screen is currently a lot stronger than the Sony’s screen. It is 3.2” instead of 3”, and the resolution is much higher at 2.359k dots vs. 1.440k dots. This comes in handy when checking lighting or previewing photos on your camera. Another common criticism photographers have of Mirrorless cameras is the lack of the optical pentaprism viewfinder. Many mirrorless bodies don’t come with viewfinders at all, since the entire system has to be electronic. The Sony 7R III does have a viewfinder though, which is part of what drives the price. This actually works out in the Sony’s favor despite the price jump, because the electronic viewfinder can display much more information than the pentaprism is able to, such as live image histograms. They are also able to simulate the digital image the camera is going to capture, giving you a better idea of what the final product will actually look like. This helps you to avoid surprises when you check your photo and your settings are off and eliminates the need to take numerous test shots and check your settings on the LCD screen, saving time and memory. You are also able to view photos through the viewfinder instead of just on the LCD screen. This feature is immensely helpful in bright light when the LCD screen becomes dim and doesn’t give you a good idea of what your photos look like. While DSLRs used to have the advantage when it comes to autofocus systems, the latest mirrorless cameras are proving themselves to be serious contenders in this area as well. This is most obvious when you compare the Nikon D850’s 153 autofocus points with the Sony a7R III’s remarkable 425 focus points. While the Nikon also boasts an impressive 99 cross-type focus point, which helps your DSLR focus in situations with less detail, the mirrorless system works differently and renders this type of focus point obsolete. The Sony has a new fast hybrid AF system. It combines phase-detection pixels on the sensor with contrast autofocus. That makes the autofocus faster and also improves the accuracy. The a7R III has a leg up on earlier mirrorless bodies. It can lock onto and follow a moving subject, taking this advantage away from DSLRs. With DSLRs, the autofocus system only works when the mirror is down. This means if you are composing a photo in live view on the LCD display, the mirror has to be flipped up and the normal AF system isn’t in the light path and the camera then switches to a slower contrast system. Mirrorless cameras like the a7R III use sensor-based autofocus all the time, making them just as fast when using the viewfinder or the LCD screen to compose your image. The Nikon D850 and the Sony a7R III are the same when it comes to video resolution, with both offering 3840 x 2160. While both cameras can shoot in 4K, the Nikon can also create 8K-resolution time-lapse videos while the Sony isn’t able to do this yet. Both cameras also come with built-in microphone and headphone jacks, which allows you to record better quality audio and monitor it in real time. The 64 ISO that the Nikon can achieve on the low end makes it slightly preferable for videographers since the camera records more detail in highlights and shadows. Another downside for the Sony is that photographers have to tap the shutter button to back out of image review, which creates an extra step in shooting and reviewing. Both cameras have robust buffers, however, so videographers can film at the highest speed possible without experiencing lag. Most videographers still prefer the DSLR to the newly emerging mirrorless technology since it is tried and true, comes with a wider variety of lenses and accessories and has better long running, tested support behind it. The Nikon performed slightly better as far as image consistency, but the Sony won out in low light and as far as added features. It seems like technology may be moving towards mirrorless and away from DSLR. While both cameras performed well in similar situations, the Sony a7R III is an impressive camera. It is one of the cheapest mirrorless options in its category, and showcases how far mirrorless technology has come in a short period of time.